Our church’s Music Ministry will be offering a unique opportunity for your Preschooler. The purpose of our new Preschool Music Program will be to nurture the God-given talents of your little ones in order for them to grow into the worship leaders of our future. Many studies have shown that developmentally appropriate musical experiences at a very young age contribute to language development, memory development, improved listening skills, eye-hand coordination, appropriate expression of feelings, and social interaction. Don’t miss out on this opportunity to optimize your child’s potential. 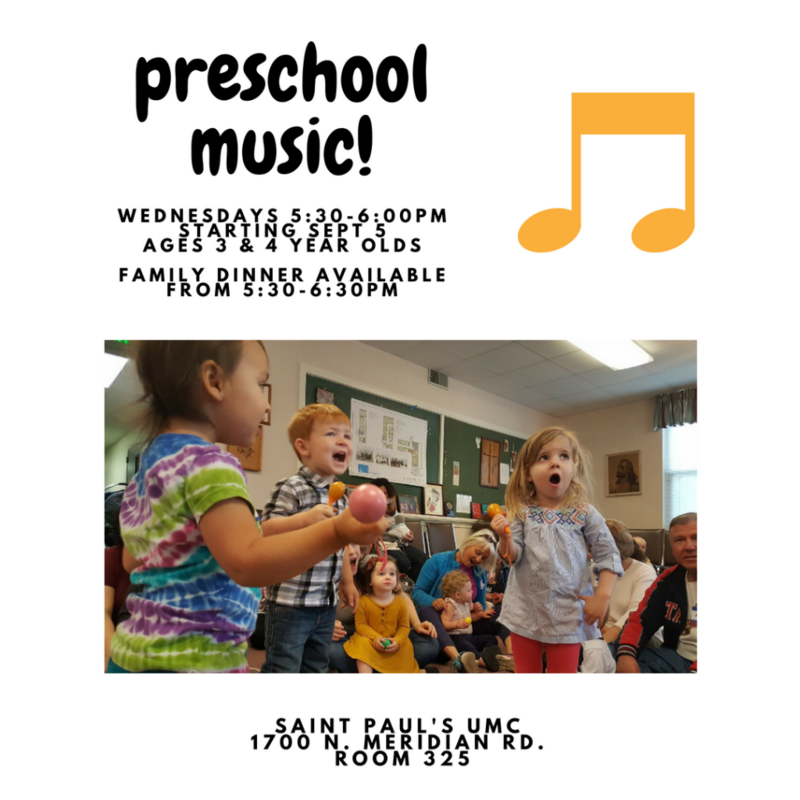 Our Preschool Music Program will meet on Wednesdays from 5:30-6:00 p.m., starting Sept 5, for age-appropriate singing, playing instruments, creative movement, and other musical activities. Weekly family dinners available in Sanders Hall from 5:30-6:30pm with RSVP too!